Thanksgiving is approaching and aside from the recipes and baking prep, don't forget to prep your tabletop! We're featuring a quick little guide to Table Setting etiquette, so you can set your table according to the type of evening you'd like to have. A good place to start is with the centerpiece, obviously in the center of the table, then geometrically space everything out from there, at equal distance. You'll likely have your plates on a buffet table (arranged with food at varying heights for optimal visual appeal), however this doesn't mean you should leave the dining space bare. Create distinct seats and lend the informal atmosphere an air of sophistication by setting places sans plates. 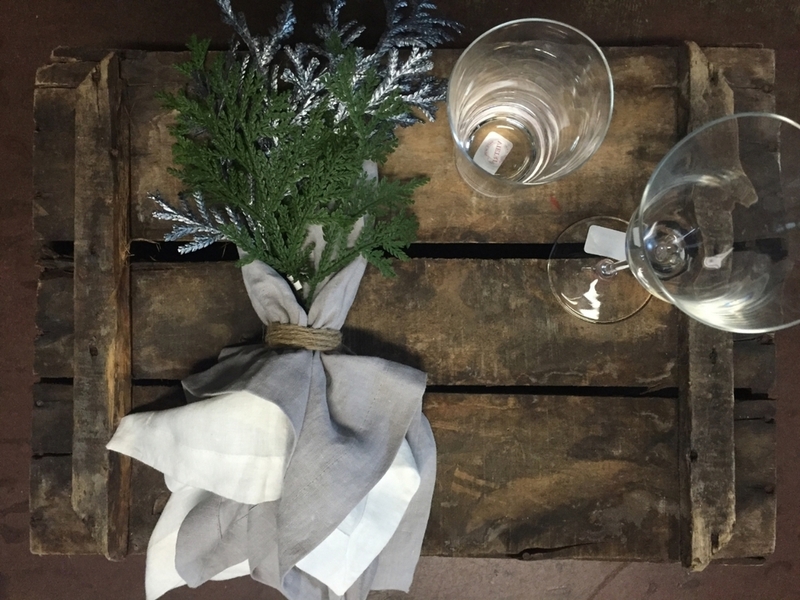 Consider this your basic everyday table setting. Include a water and wine glass, and of course your favorite linen napkin along with theappropriate dishware, most likely your salad or soup bowl, appetizer plate and dinner plate. Stick with the basic flatware, using this age-old trick: fork has 4 letters and so does 'LEFT'. Knife and Spoon both have 5 letters just as 'RIGHT' does. If you want to go all out- perhaps you have wedding china that's collecting dust or an inherited set you'd love to put to good use- the formal setting is the way to go. Keep in mind, this will be no ordinary dinner. To do your setting justice, the meal must include salad, bread, soup, drinks and a main course, followed by dessert and coffee. Wine glasses should be positioned according to size. Don't get overwhelmed by the plethora of flatware, simply start from the outside and work your way in. Traditionally the dessert flatware sits above the plate and below the place card, however, more modern formal settings tend to place the dessert flatware after the entree has been cleared and before the dessert is served. We wish you and your family a wonderful celebration and joy, happiness and health through the rest of the year and beyond.